During this 20 minute webinar, Head of Execution / Investment Analyst Sunny Bangia will discuss Antipodes Partners Funds’ key European exposures. - The global populist wave – Does Europe's apparent vulnerability matter? Andrew Baud, Deputy Portfolio Manager / Investment Analyst, will be hosting a webinar to discuss the performance of global healthcare and Gilead Sciences. 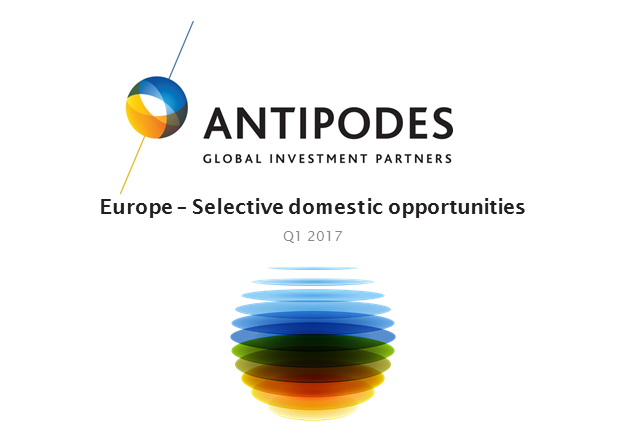 Graham Hay, Deputy Portfolio Manager, will be hosting a webinar to discuss where Antipodes Partners sees opportunities within global markets. Andrew Baud, Deputy Portfolio Manager, will be hosting a webinar to discuss where Antipodes Partners sees opportunities within global equities. During this 20 minute webinar, Deputy Portfolio Manager / Investment Analyst Andrew Baud will discuss Antipodes Partners Funds’ key Consumer exposures. During this 20 minute webinar, Jacob Mitchell, Chief Investment Officer at Antipodes Partners, will discuss key interest rate sensitive exposures in the Antipodes portfolios. - Global valuation dispersion – Look beyond the headlines! - When the only real yield stocks left are banks, what do you do? Rapid growth in US natural gas production was underwritten by high yield debt markets which are now generally shut. As the gas price fell to record lows, production growth transitioned to associated gas from booming oil shale. Subsequent to the oil price shock, new associated gas development has collapsed. The industry has reached the stabilisation phase where production declines are now set to accelerate whilst demand growth is underwritten by US power generation and exports. We have positioned our investment portfolios to benefit from a strong rebound in the US natural gas price to around $4.50/MMBtu, the cost of marginal supply, a rare case of a commodity price outcome largely not dependent on Chinese demand. The Korean market appears cheap with leading franchises such as Samsung Electronics, Hyundai Motor and KB Financial trading at significant discounts to global peers. The narrative is highly reminiscent of Japan during the period of persistent Yen strength from 2010-12 where “macro” generalisations such as government policy stasis and poor corporate governance, etc., drowned out the stock specific discussion. With corporate governance improving and evidence of government engaging with reforms, we believe the market is highly prospective for absolute returns. Antipodes Partners is a pragmatic value manager of global and Asian equities (long only and long-short). We aspire to grow client wealth ahead of the broad market over the investment cycle without subjecting capital to undue levels of risk. We take advantage of the market’s tendency for irrational extrapolation around changes in the operating environment, identify great businesses that are not valued as such and build high conviction portfolios.